Hey guys! 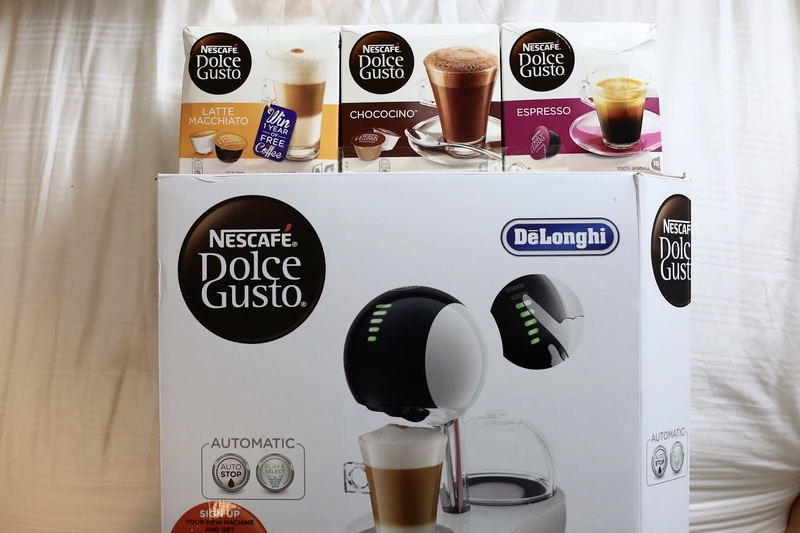 So today it's another gift guide from me, I wanted to get these live sooner rather than later and thought the end of November would be the perfect time. 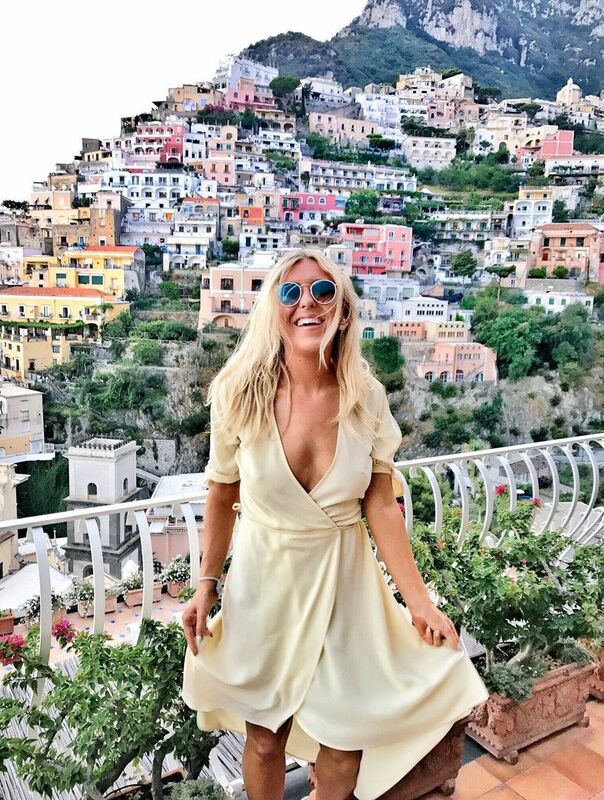 Make sure you head here and check out my huge Christmas gift guide for women, I think you'll like it! Whether you're treating yourself or a loved one, I'm hoping this will help you this Christmas! Bookmark it and keep checking back because I'll be adding to this. Enjoy! 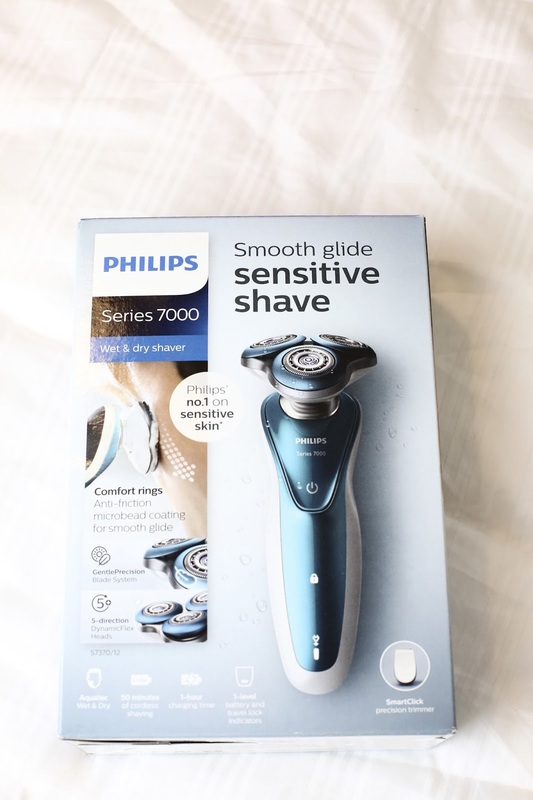 Philips Shaver Series 7000 - Online here. I always think shavers make amazing, lifelong presents for men. I know all the men in my life rave about good shavers and men really appreciate a good one. 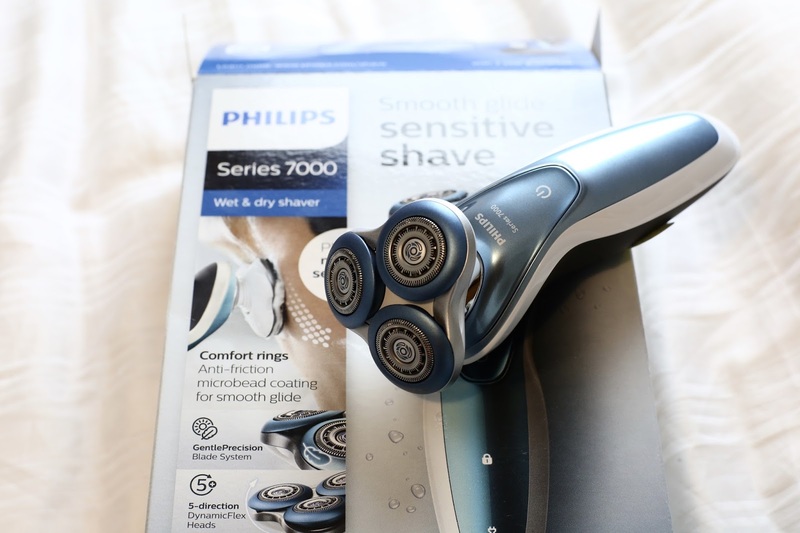 Philip's Shaver series 7000 is epic because it is made to address the root cause of irritation from shaving. It's designed to relieve discomfort and allow men the shave with maximum comfort. It's been hailed the number 1 shaver for sensitive skin but as well as that, it reduces redness, and visible irritation from shaving the face every day. It has DynamicFlex heads which flex in five different directions to deliver a close shave around every angle of the face. It also has a Gentle Precision blade system to guide hairs close to the blades. I know I'm not a man who uses this, but it really is designed for the most comfortable shave yet. I know the men in my life will be fighting over this as they have complained before that shaving irritates their skin. Lastly, this is way more than just a shaver, it also comes with SmartClick accessories to improve men's shaving experience, this includes a Beard Styler to trim beard hair down to a more shorter and manageable stubble length, meaning you don't need to over shave areas of the face. It also has a SmartClick Cleansing Brush which attaches to the product to help thoroughly clean the face in the morning and in the evening to remove the build-up of days dirt. I absolutely love this, my boyfriend is finally getting into his skincare and I love that this is almost a 2-in-1 shaver and skincare tool. Last but certainly not least, this also comes with skin-friendly precision trimmers to finish the look, making it ideal for maintaining your moustache and trimming sideburns. This gives you 50+ minutes shaving from a one hour charge. I honestly think this is an amazing gift. You can always gift the shaver with something like a gorgeous little shaving set, brands such as The Real Shaving Co and Bluebeards are meant to be really good. 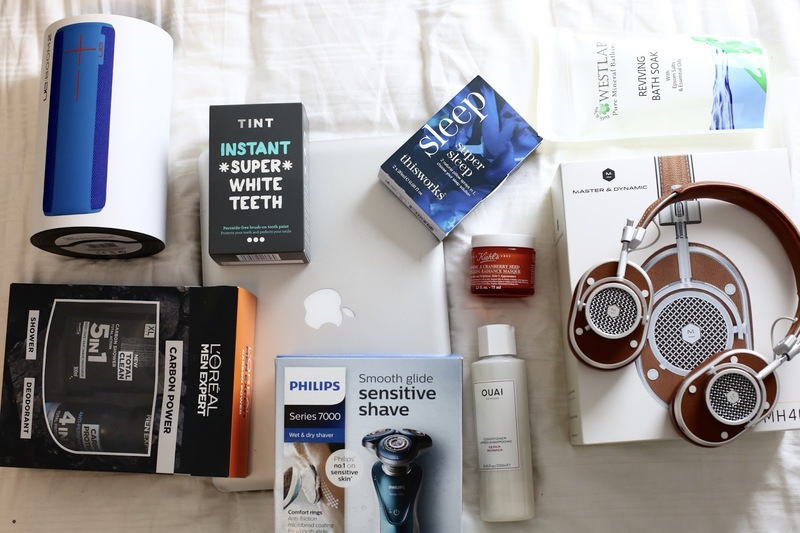 Male Grooming - Sticking to the theme of male grooming, you can't beat a hamper of grooming treats for the man in your life. 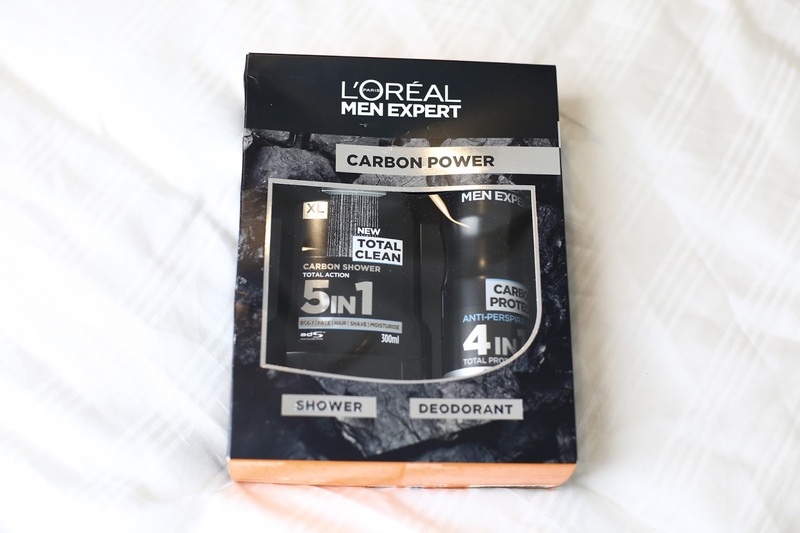 I always buy my boyfriend and brother loads of smelly bits and bobs. Matt really appreciates good hair products and because good hair products do tend to be quite pricey, they make a really nice, thoughtful gift. First up, hair. My boyfriend and brother absolutely love hair clay so they always get some of that in their hamper. Matt's favourite is by Kevin Murphy and I don't think you can go wrong with Toni & Guy either. 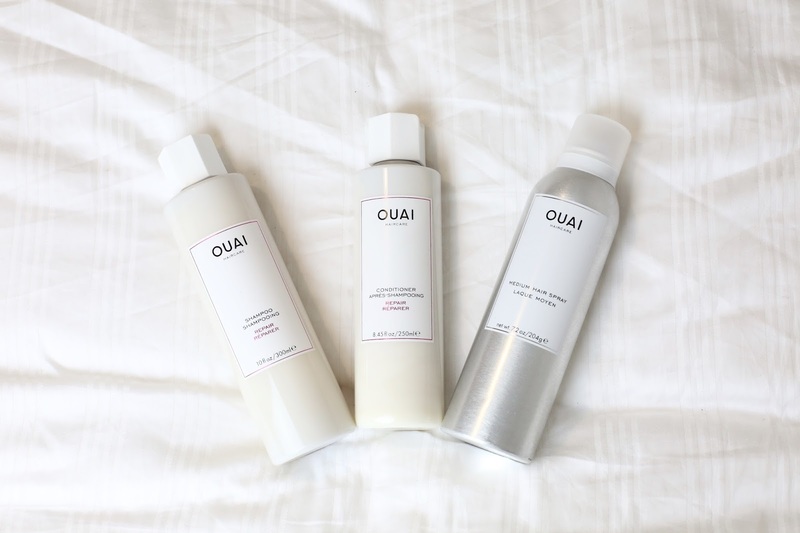 There's also a cool brand called OUAI, it's designed by celebrity hairstylist Jen Atkin and is designed to make you wake up with that ;woke-up-like-this' hair. I'd say this is a great unisex product, obviously anyone can use any shampoo and conditioner but their matte pomade is particularly lovely for male hair lovers. Another good hair brand for guys, MR by Jamie Stevens, the thicker range makes a really nice gift pack for guys who are wanting to thicken their hair up. If you're stuck, I always find booking the man in my life in for a hair cut works wonders. I've actually booked Matt in with my hairdresser, Lee at Sassoon for a pre-Christmas treat. I did the same for my Mum last year and she loved it. If you read my blog post about the importance of finding the right hairdresser, you'll know just how much I love Sassoon! If in doubt, head to ASOS, their grooming section is amazing. Relaxation - Every Christmas I tend to buy my brother bits from the Elemis sports range, it's great to relaxing muscles. 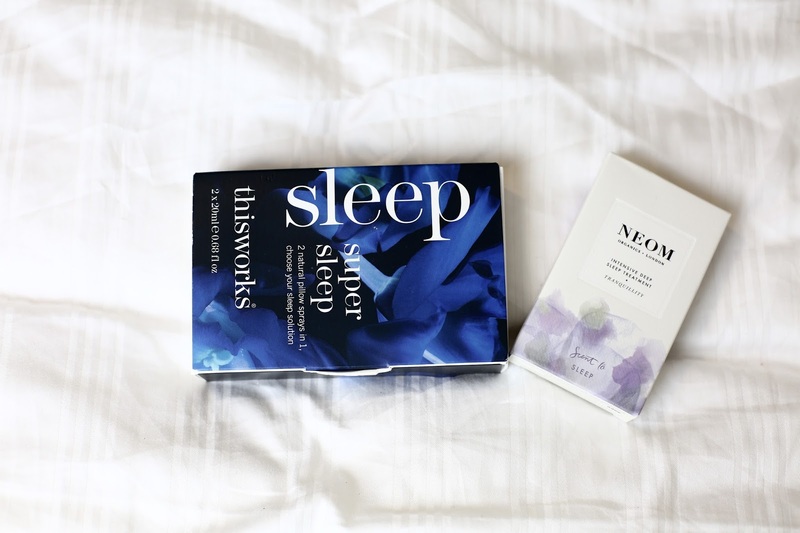 I also love ThisWorks Super Sleep, it's such a beautiful product and ensures even the most active of minds are getting enough sleep. Another favourite of mine, Neom, also do an intensive sleep treatment which is brilliant for relaxing someone. 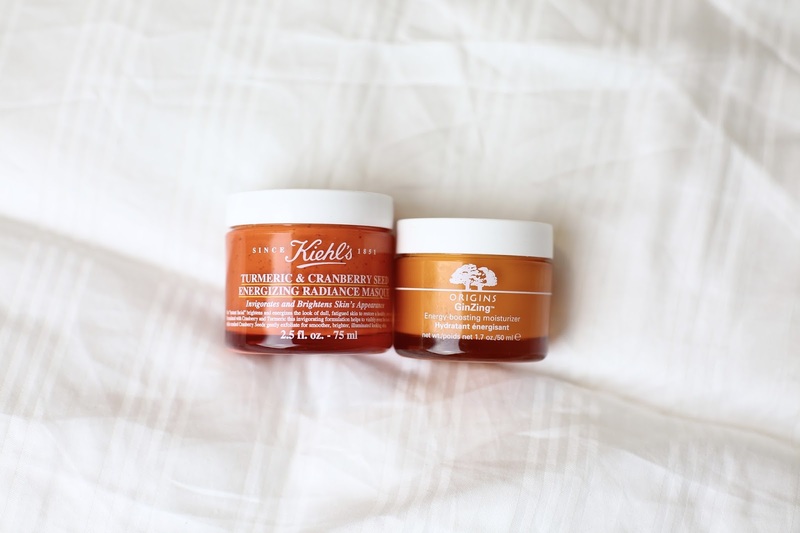 Perfect for the guy who needs to take some more me time (or so you can steal it from him!). Smellies - Other great smelly sets this Christmas include Decleor, their Box Of Secrets Grooming Set which includes pretty much everything you need. You can't go wrong with L'Oreal either, their sets are so well priced and smell absolutely incredible. 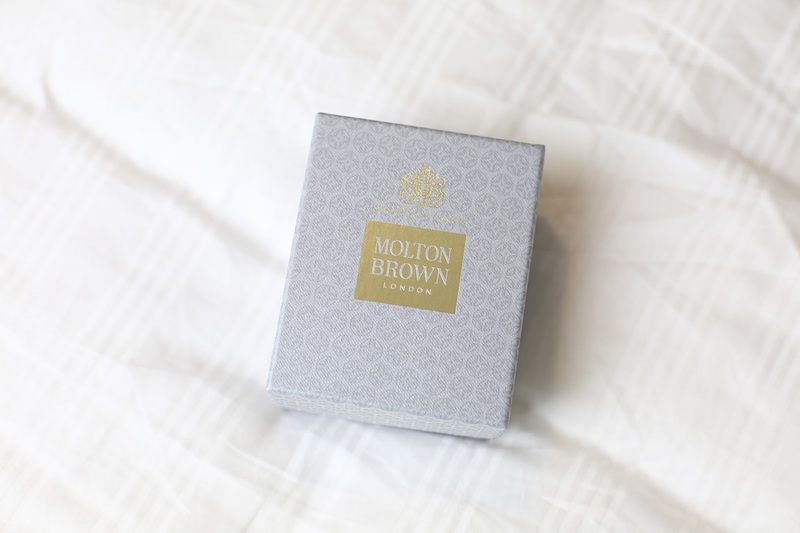 As I've already mentioned, Elemis and Molton Brown do the most amazing sets. Tech - I know a lot of guys love tech so I couldn't not include it. Depending on how much you want to spend, you can buy game consoles (Xbox and Playstation if you want to keep him quiet) or his favourite game. Selfridges always have an amazing tech section. Last year I got my brother to UE BOOM and he doesn't stop talking about it. 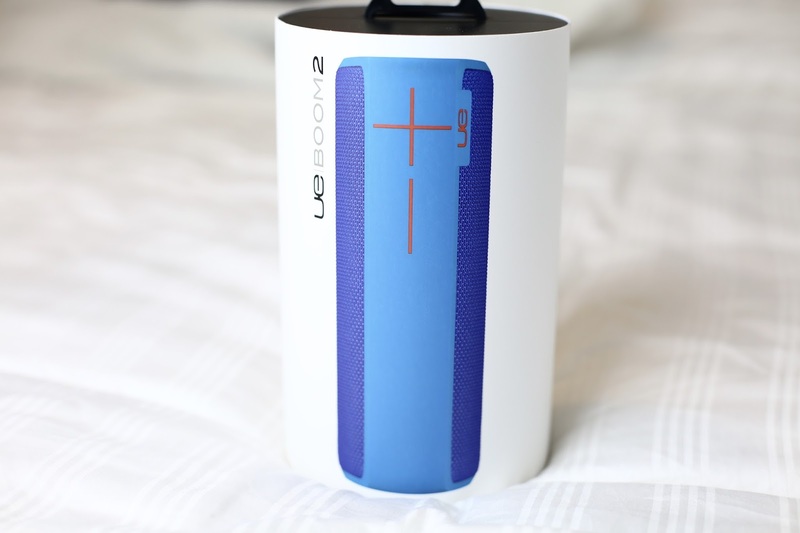 They're portable, waterproof and have incredible sound quality. 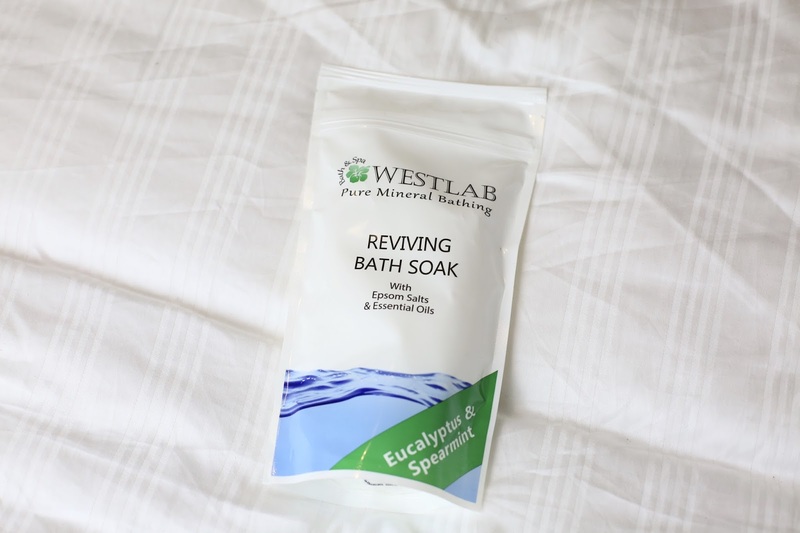 They're amazing for the house or to take on trips. I can totally see why everyone raves about them. Master & Dynamic - Keeping with the tech theme, I absolutely love buying things like headphones because I feel like men love them. 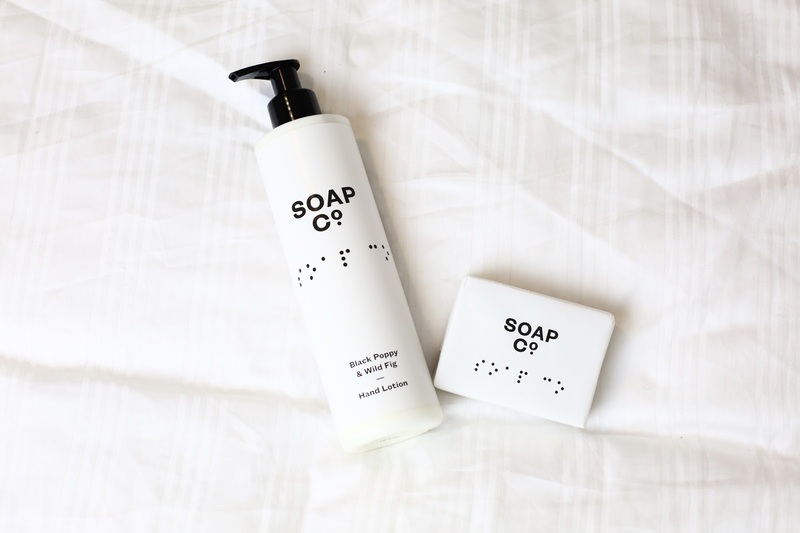 This brand is one of the most amazing ones I've come across. 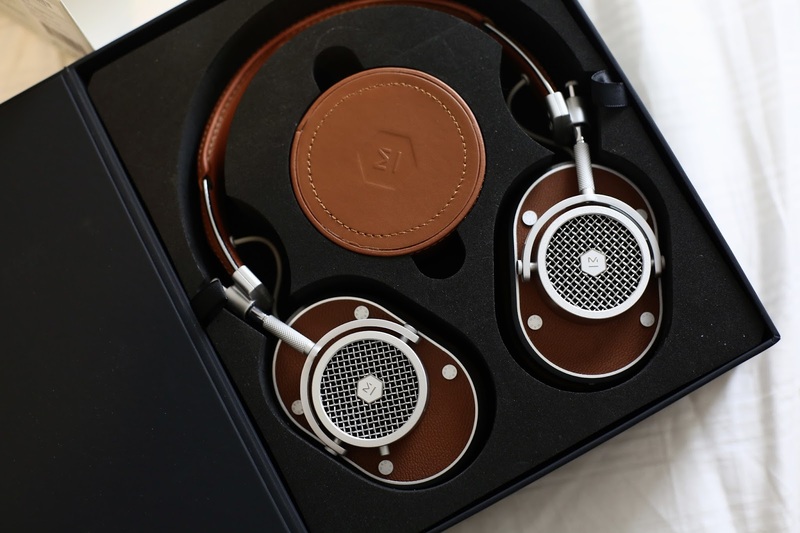 They're designed to foster the relationship between sound and creativity, are beautifully made with padded leather and the dos gorgeous fold flat design. 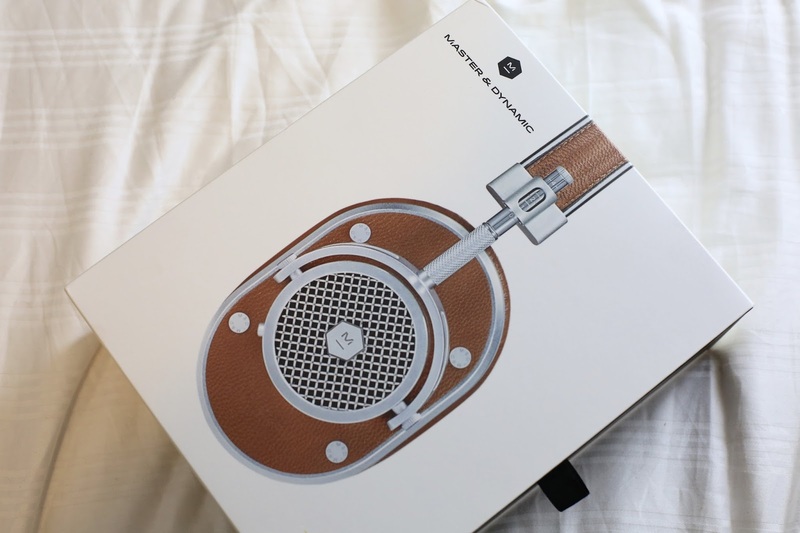 I'd highly recommend these for anyone into their headphones, tech or music. You can buy them online here. OTHER - You can't go wrong with sweet treats (Hotel Chocolat and Lindt) Godiva is amazing too, alcoholic beverages (I love Haig Club as it's such a gorgeous bottle) and if he's into working out, gym kit! You can't go wrong with a nice pair of new trainers or gym kit from Nike. I also love Photobox, they do the best personalised photobooks and calendars which make the perfect gift. I made my Grandparents one full of graduation photos. I'm a sucker for Moonpig too, I love personalised cards and think it gives things such a personal touch. Have you done your Christmas shopping yet? What will you be buying?